It's not always easy to find the perfect fit and it often takes a lot of patience to find a place where your size is in stock. When shopping on eBay, you not only have plenty of shops that sell the most recent items online but also private sellers who offer more unique and rare products. You also have a Trends Page where you can find the hottest pieces for the best price possible! 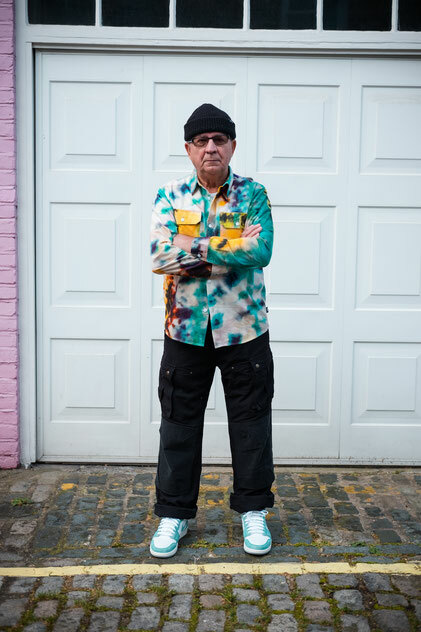 Gramps chose this Tie Dye Stussy shirt for his Spring outfit. The colorful shirt is perfect for brighter days and makes him look younger than ever! And let me tell you - since you have such a big variety of sellers on eBay, chances are that you can find items for a real bargain! Simply have a look at the men's fashion department! You can never go wrong with a classic black beanie. In this case it's a HUF Usual Beanie. 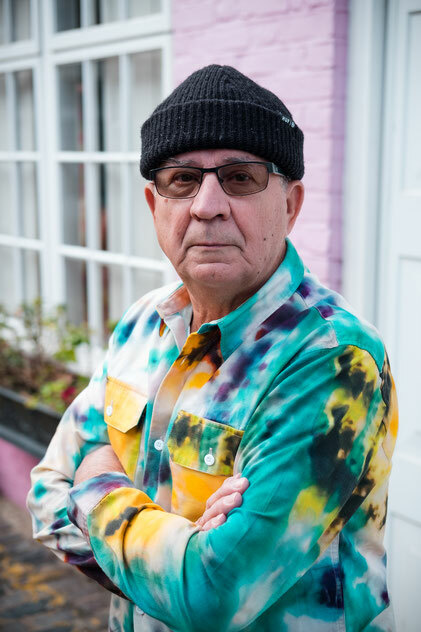 This is Gramps' go-to beanie when it comes to looking fresh...and due to it's high cut it's also great for the sunny but cooler Spring days! In order to get the best deals possible, eBay offers you great deals for the lowest price available. Check out the eBay deals page to learn more! The eBay fashion page features all the items you need to look fresh. Workwear never looked so good! 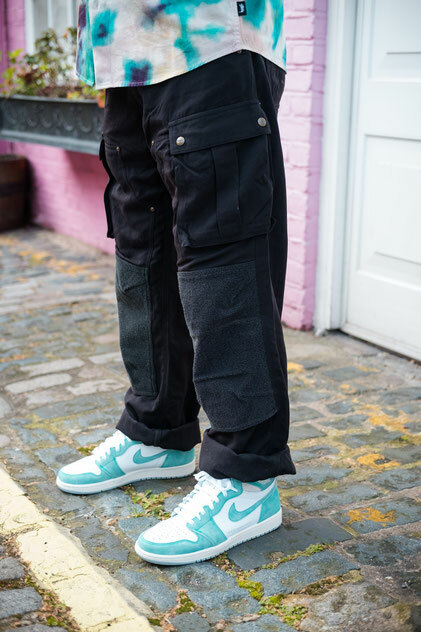 This Carhartt Cargo Workpant is probably a useful pair of trousers to work in - but it also looks good in your everyday life! Since it's a workpant you are guaranteed to have a great quality item - and the best part is the price! It's never easy to pick the right shoe for an outfit. Especially when there are so many brands, models and colorways to choose from. On the eBay Sneaker Spot you can find the hottest and most recent sneaker releases as well as older and even vintage sneakers. 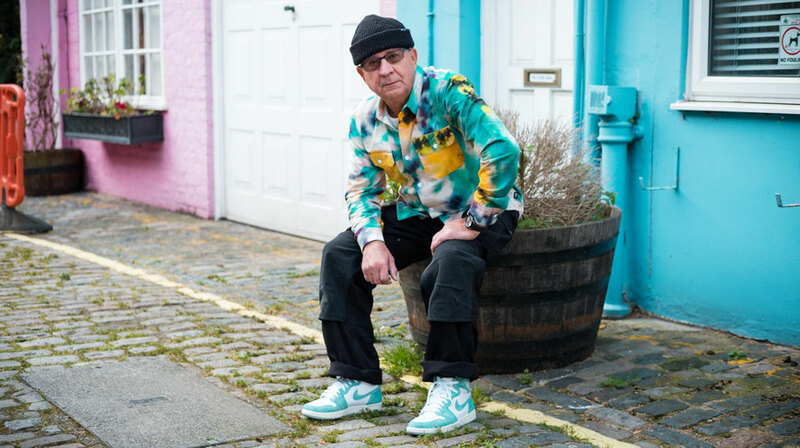 Gramps chose the recently released Nike Air Jordan 1 Turbo Green to complete his Spring outfit. 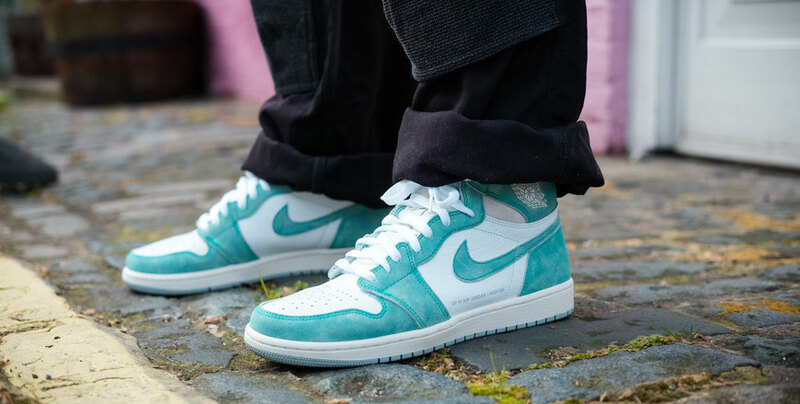 The mint-coloured basketball sneakers look great with the more baggy-fitting Carhartt pants and are a perfect match for the Stussy shirt.